A perfect opportunity for our students to get to know each other and start building those family-like relationships which they will take with them throughout their professional and personal lives. The first workshop which will challenge our students’ views of how football clubs are being managed and expose them to some of the imperceptible challenges they encounter between glory and doom. Going behind the scenes at one of the heavyweights of the international football scene to look how City’s innovative management model and stunning academy complex is setting them up for a sustainable future on and off the field. A reminder that football sometimes doesn’t need more than a ball and a little space for it to empower people who share that same passion and, by doing so, improve their own as well as others’ lives. Because it’s a people’s business and one just can’t start networking early enough. 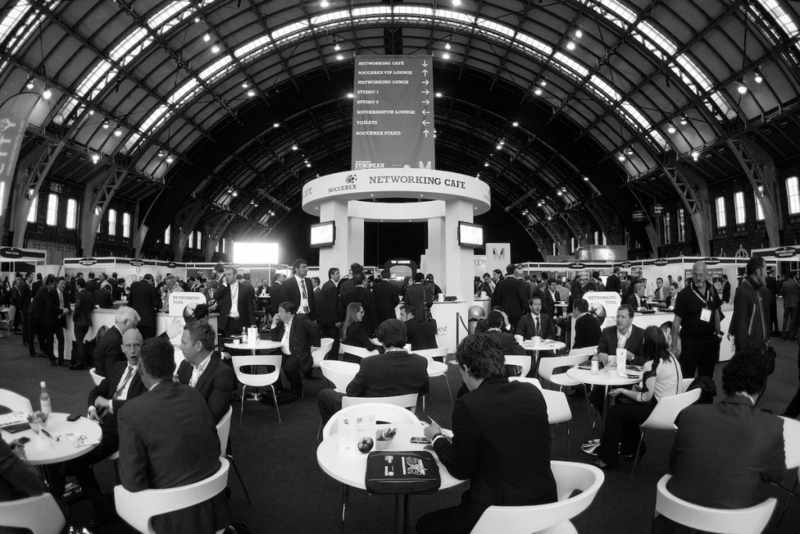 By networking at the Soccerex Global Convention – the must attend business event on the football calendar – FBA students will start laying out the foundations of their career relationships and get a big step ahead over their peers in other programs. A great opportunity to start prospecting a job since day 1! The Soccerex Global Convention offers over 25 hours of market leading content from expert international speakers boxed into 3 vibrant days (you could call it a crash course in football business) to open up our students’ eyes and minds to the behemoth that constitutes the football industry. Another consequence (or benefit, depending how you look at it) of football’s social nature is that it extends to its management spheres. Dinners and cocktail receptions are equally important networking and relationship building opportunities for football executives and our students will be treated to one of them every night of the Intro Week. A true way to test our students’ ready knowledge and hear their opinions, they will be joined by FBA professors and other event attendees to engage in healthy debates and interactive activities at The FBA’s exhibition stand at Soccerex (it’s number 128 in case you want to pop by and meet them!). When one person thinks City, another automatically thinks United. On this second club tour, students will be able to appreciate and learn how Manchester United have become the most valuable brand in world football and how they harness this power by engaging with their fans around the globe. Spain, United States, Switzerland, Brazil, India, England, Colombia, France, Italy. It almost sounds like a list of quarter finalists at the World Cup, but it’s not. These are the nationalities of The FBA’s inaugural group of students. Ten driven and passionate individuals who will give it their all in the coming 12 months in order to achieve their dream, break into the football industry, and build its future together.